Female Anaphes iole, photographed by Max E. Badgley. The Mymaridae, fairy flies, are a family of lightly-built egg-parasitoid wasps that include some of the smallest of all living insects. Characters (from Bouček 1988): Blade of hindwing (brachypterous forms rare) not reaching base, being reduced to a linear stalk formed by submarginal vein; frons with H-shaped impressed lines, adorbital vertical lines connected not far above antennae by a straight cross-line; antennal toruli much nearer to eyes than to each other; forewing almost always without postmarginal vein, stigmal vein reduced to a short stub and mostly situated far before middle of anterior margin; antenna without anelli after pedicel, in females with conspicuous long-oval clava; appendages mostly very long and slender; body usually below 2 mm length; egg parasites. [G29a] Girault, A. A. 1929a. North American Hymenoptera Mymaridae. Privately published (reprinted Gordh, G., A. S. Menke, E. C. Dahms & J. C. Hall. 1979. The privately printed papers of A. A. Girault. Memoirs of the American Entomological Institute 28: 233-261). [G29b] Girault, A. A. 1929b. Description of a case of lunacy in Homo and of six-legged articulates. Privately published (reprinted Gordh, G., A. S. Menke, E. C. Dahms & J. C. Hall. 1979. The privately printed papers of A. A. Girault. Memoirs of the American Entomological Institute 28: 262-265). [G30c] Girault, A. A. 1930c. New pests from Australia. IX. Privately published (reprinted Gordh, G., A. S. Menke, E. C. Dahms & J. C. Hall. 1979. The privately printed papers of A. A. Girault. Memoirs of the American Entomological Institute 28: 278-279). [G31a] Girault, A. A. 1931a. A new habit in an old insect, Homo pudicus and new Eurytomidae. Privately published (reprinted Gordh, G., A. S. Menke, E. C. Dahms & J. C. Hall. 1979. The privately printed papers of A. A. Girault. Memoirs of the American Entomological Institute 28: 280-283). [G31b] Girault, A. A. 1931b. 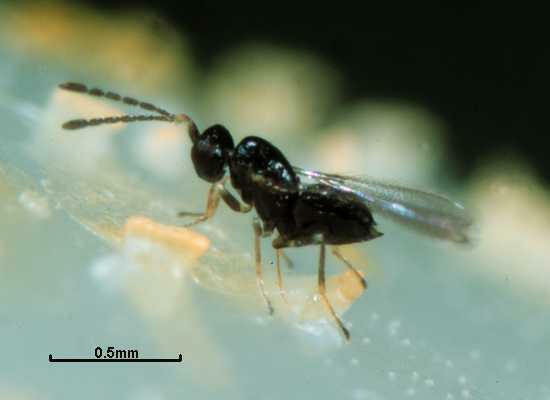 Hymenoptera, Thysanoptera nova Australiensis. Privately published (reprinted Gordh, G., A. S. Menke, E. C. Dahms & J. C. Hall. 1979. The privately printed papers of A. A. Girault. Memoirs of the American Entomological Institute 28: 284-285). [S01] Stringer, I. A. N. 2001. The reproductive biology and the eggs of New Zealand Anostostomatidae. In The Biology of Wetas, King Crickets and Their Allies (L. H. Field, ed.) pp. 379-397. CABI Publishing: Wallingford (UK).